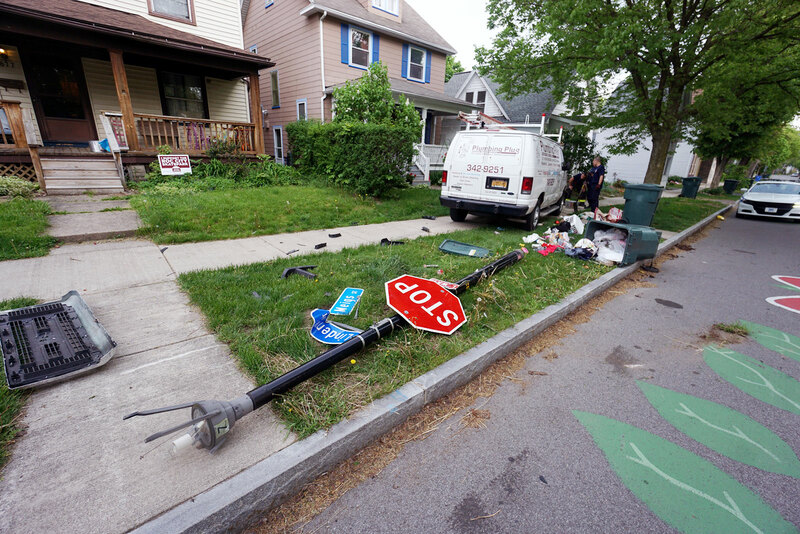 As many of you are aware, because of a crash near the intersection of Meigs & Linden, in 2009, we created the HPNA Traffic Calming team which eventually became “The Highland Placemaking Team”. We came up with a plan for traffic calming in the area of our playground and, although quite a few items were implemented, many of the safety related traffic calming features were not because of County resistance, City policy and other things. Our intent was to avoid something as what JUST happened in my neighbor’s front yard. No children should have to witness such a scene in their front yard while waiting for the school bus. I am thankful we avoided (barely!) a major heart-wrenching tragedy, but it was NOT because of this driver’s fear of the consequences of being so careless. It was only a matter of timing that prevented something much worse from occurring. You and I both know we need to do better.